Apple bans 'The Binding of Isaac: Rebirth' as it shows "violence against children"
The excellent The Binding of Isaac: Rebirth may be a bit controversial in its subject matter, but you wouldn’t expect it to receive an outright ban for its content. Apple, however, seems to think that the game’s unsuitable for App Store users: the company has rejected the twin-stick shooter due to its reported depiction of violence toward children. Tyrone Rodriguez, who is the founder of Binding of Isaac publisher Nicalis, posted a tweet showing Apple’s rejection notice (via Eurogamer). "Your app contains content or features that depict violence towards, or abuse of, children, which is not allowed on the App Store," it reads. 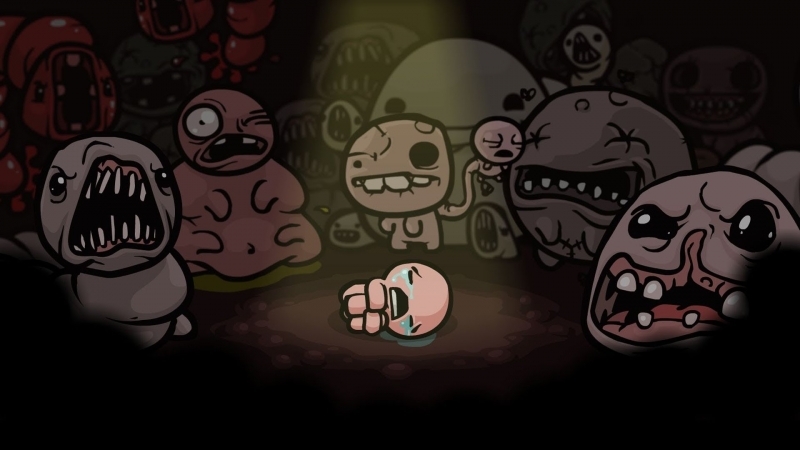 The Binding of Isaac see players take control of the titular Isaac whose mother has trapped him in her basement after the voice of God commanded a sacrifice. The game is a satire of the Binding of Isaac story in the Hebrew Bible in which God asks Abraham to sacrifice his son, Isaac. McMillen went on to accuse Apple of double standards by taking this decision. “Yet [Apple is] the same people who allow and encourage obscenely abusive and manipulative money-making tactics in their games marketed toward children,” he said. We don’t know what the next move will be for the Binding of Isaac team; whether they appeal to Apple, censor the game for the App Store, or decide to abandon the platform altogether, we'll have to wait and see.